2 BHK Independent Houses/Villas for Sale in Sathya Sai Layout, Whitefield, Bangalore - 859 Sq.ft. It is everyone's ardent desire to stay far from the madding crowd, especially when lives in a happening metro like Bangalore. It is great to enjoy the hustle bustle of the city life for most of the day but, when you retire for the day, it is peace and quiet that you long for. 2 BHK Luxury Villas for sale in Whitefield 2 and this is Under con	struction Property. The Villas comes with the All amenities of Gymnasium , Party Hall , Kids paly area , jogging track , 24 Hours power back up and 24 Hours security . 2 BHK Starts at Rs.45 Lakhs excluding Registration. Charges. Just Pay Rs. 1 Lakhs down payment and Rest in Loan . 90 % Funding available. PRADHAN MANTRI AWAS YOGANA RS. 2.67 Lakh discount also applicable . 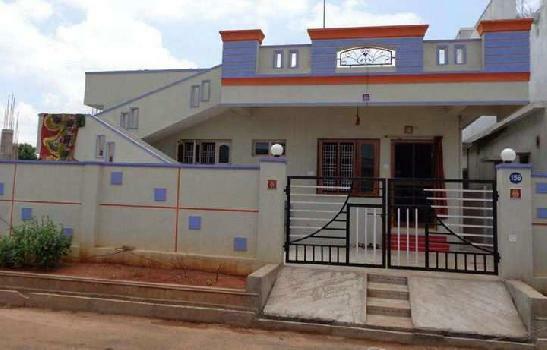 Built Up Area : 859 Sq.ft., Plot / Land Area : 1200 Sq.ft., Carpet Area : 823 Sq.ft. 3 BHK / 2929 Sq.ft.